Gete Wami, one of the greatest Ethiopian runners of the last twenty years is suffering from grave psychological problems. There is recently posted footage on the internet of Wami looking very healthy physically, while acting in a clearly disturbed fashion. The man holding her by the shoulder is believed to be a priest. But in a very African interpretation of her condition, the accompanying headline is that she is, ‘Possessed by demons’. Her former manager Jos Hermens said today, “I wasn’t aware of this. I know that she has had problems in the past, and she always did have a tendency to depression. She is a wonderful woman, but she was one of those world class athletes who always doubted herself. She is married to our colleague Getaneh Tessema, but they have been separated for some time. They have a teenage daughter, Eva, but her father is not allowed to see her, and Gete refuses to get divorced. I know she has money problems, and we and Haile (Gebrselassie) and Getaneh have tried to solve these problems, but she is getting bad advice elsewhere”. 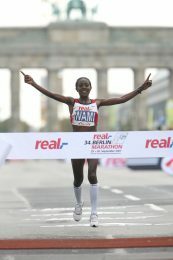 Wami, 44, won several world titles on track and cross country, as well as Olympic medals, before turning successfully to the marathon, where she won major races in Berlin (twice) and Amsterdam, before winning the overall prize of a half-million dollars in the World Marathon Majors in 2007.  Her final race was in London Marathon 2009, where she finished ninth in 2.26.54. It is understood that Wami and Getaneh own several properties together.